Tattoos are becoming more and more popular. 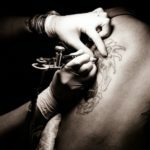 And we’re not just talking about the actual act of ink on skin – we’re also talking about the number of people taking a general interest in the art and culture of tattoos. 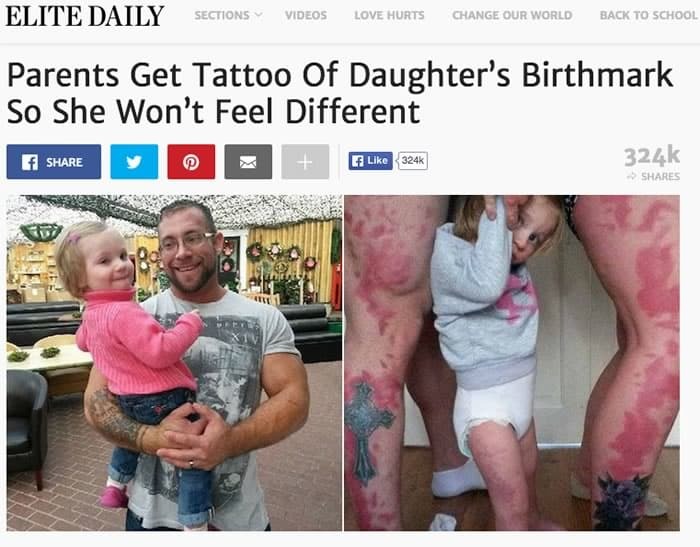 In fact, you might have witnessed this yourself with the rise in the number of tattoo-related articles going viral. For example, the top 5 most shared tattoo posts of 2015 so far have a combined share count of 1,651,700! That’s a lot of shares. 1. 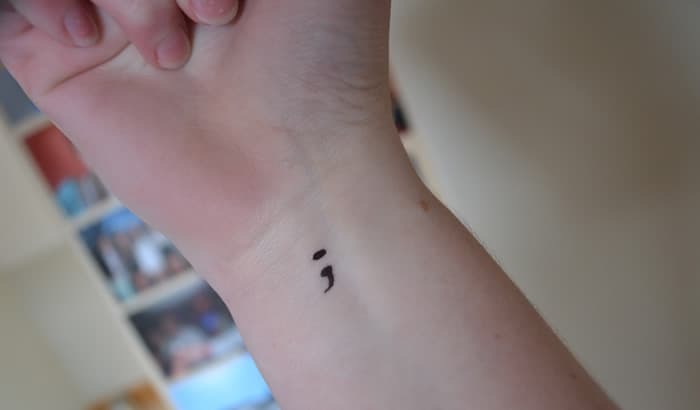 Have you seen anyone with a semicolon tattoo? Here’s what it’s about. People from all walks of life have chosen to have this tattoo on their bodies as a symbol of their own wins in life. It’s become a symbol of hope and strength and solidarity. So the next time you see somebody with a semicolon tattoo, it’s fair to say that they’ve overcome their demons and continue to fight them. Read the full story at Daily Signal. This story is truly amazing. The parents of a girl born with red birthmarks all over her body have had those same birthmarks tattooed onto themselves – just so that their little girl grows up without feeling different. They decided enough was enough when members of the public would stare at their daughter and comment about her legs – so their solution was to make their legs the same so their daughter wasn’t the only one who looked the way she did. The result is one smiley, happy little girl. Kudos to the parents. Just where do people get their tattoo ideas from? One man, Keith Anderson, gets his ideas from his son. He has been getting a new tattoo inked onto his body every year based on his son’s drawings, and the result is a wide range of diverse, colourful tattoos that are 100% unique. The first tattoo was a daisy. The second tattoo was of a house. Now, a few years on, Keith has everything from seahorses to robots tattooed on his body. 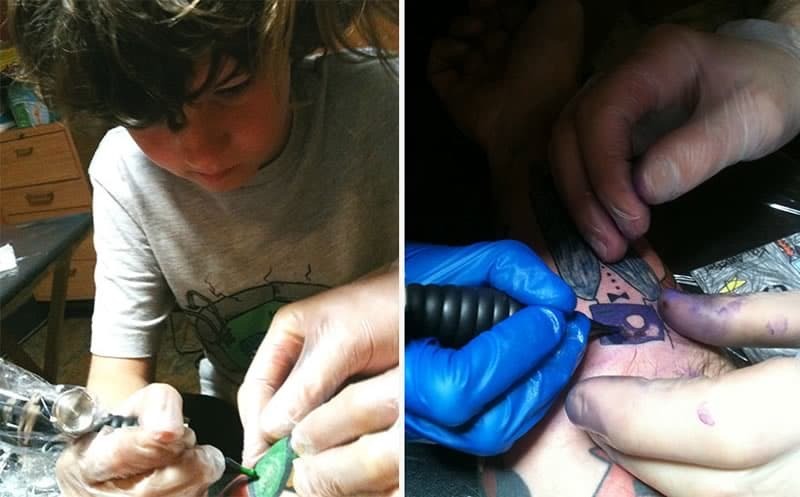 Keith is passing his love for tattoos onto his son too, with his son doing some of the tattooing on his dad himself – under the supervision of a trained adult, of course. Read the full story at Bored Panda. 4. She tattooed half her face and you’d never know it. Her skills are just that good. Clickbait articles get a lot of traffic. But behind their predictable headlines are, quite often, genuine stories that we can relate to on a human level. This is one such story. Samir Omar was the victim of a horrible attack from bullies. She had boiling water thrown in her face which instantly ate through her skin, leaving visible scarring. Discoloured and with no way to conceal her scars, Samir had little hope of looking normal again. That was, until she met Basma Hameed, a medical tattooist. Basma runs her own tattoo parlour and specialises in paramedical tattoos. 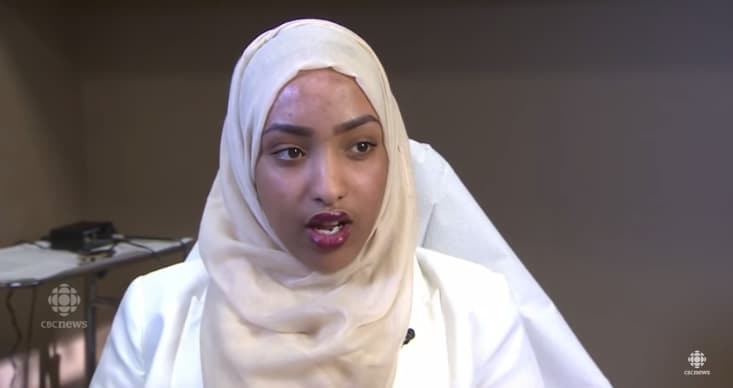 She saw what had happened to Samir and vowed to help her. The treatment took a while, but in the end, half of Samir’s face was tattooed with a pigment matching her original skin tone and now, unless you look very closely, you can’t tell Samir had boiling water thrown in her face at all – which is quite remarkable considering the scarring this attack left her with. Read the full story at Upworthy. Cancer survivors should be proud of their scars. They are a symbol of what they have overcome, and they are a reminder that life should not be taken for granted. 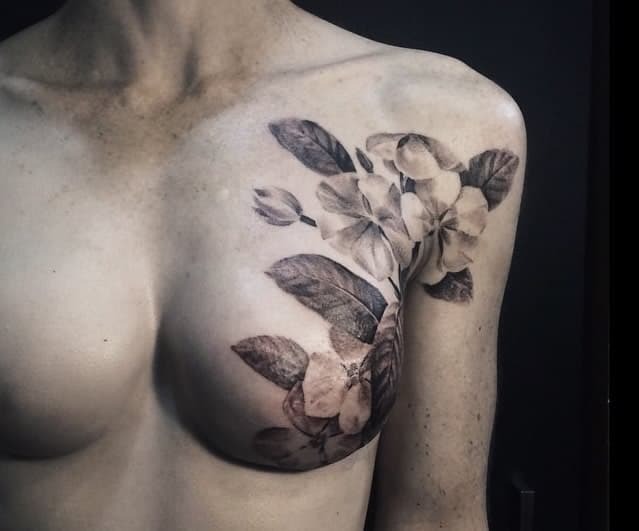 Some people, however, are choosing to have their breast cancer scars covered up with tattoos – not because they are unsightly and shameful (which they in no way are), but because they are a blank canvas and a way to show the world that a new chapter in their lives has begun. 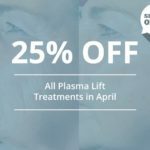 In this article, with increase in popularity of tattoos among breast cancer survivors is detailed and it is revealed that a website called P.ink is helping to connect tattoo artists with women – or men – who want to cover up their mastectomy scars. The ink shown off here is truly sensational, with exceptionally well detailed tattoos.